The University of Ljubljana and the University of Bologna have both joined the network of EIT Digital Summer School organisers. With these two new locations, the EIT Digital Summer School will now offer 12 business and technology schools across Europe this summer. Learning how to turn technology into business is a key part of all the schools. Each EIT Digital Summer School has its own topic to deepdive into. The Summer School in Ljubljana, in Slovenia, specialises in Digital Cities. The programme is called Digital Transformation for Resilient Cities. Safe cities should be resilient to natural disasters like heavy weather, earthquakes, fires, or terrorist attacks. IT technologies, combined with existing disaster management strategies, allow for new ways of managing disasters in cities to be created, including post-event analysis. The topic of the Summer School hosted by the University of Bologna, which takes place at the University Residential Center of the University of Bologna in a medieval castle, is Data Driven Manufacturing with Industry 4.0. “Participants will exploit a growing ecosystem with stakeholders in the direction Industry 4.0 innovation (I4.0), taking part in company site visits and immersing themselves in the Regione Emilia Romagna area,” says Venezia. The school will show the immense potential of using big data to monitor and automate I4.0 processes in the shop floor and to enable new after-sale added-value services. Finally, Venezia states proudly that Bologna also has “the oldest university of the occidental world”. The mission of making Europe a leading player in the digital economy is one of the key reasons for EIT Digital and its partners to host twelve different Summer Schools in eleven European cities across the continent. 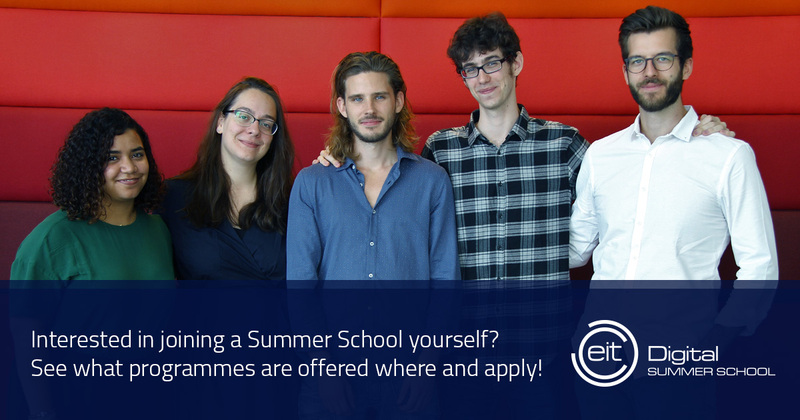 The two-week EIT Digital Academy Summer Schools combine state-of-the-art excellence in key digital technologies with expertise in innovation and entrepreneurship (I&E). Professionals and students learn together how to turn new emerging technologies into businesses, by immersing themselves in real business case studies originating from EIT Digital's partners.